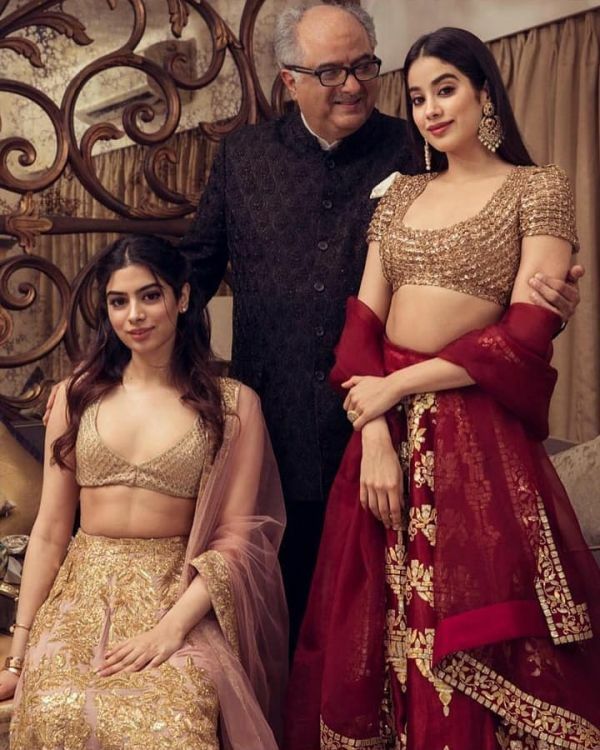 Sridevi and Boney Kapoor's daughters Janhvi and Khushi Kapoor are the most talked about Bollywood star kids. 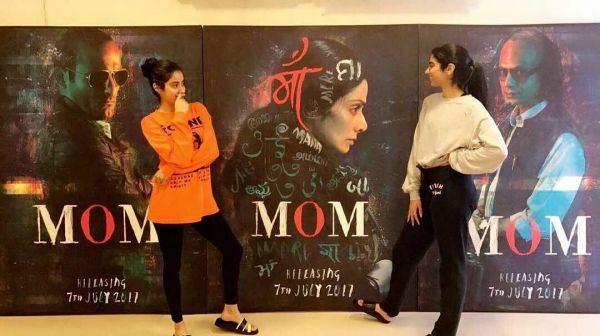 Soon after Janhvi Kapoor made her Bollywood debut with Shashank Khaitan’s Dhadak, all eyes panned to Janhvi’s younger sister Khushi Kapoor. While Janhvi has made an impression in the film industry, Bollywood still awaits the arrival of the younger Kapoor sister. While a lot of people believe that Khushi Kapoor is Bollywood ready, it seems like it will be a while before she finally makes her debut. On a chat show hosted by Anaita Shroff Adajania, Jahnvi disclosed that Khushi will be following her sister's footsteps and will first take a course at the New York Film Academy before making her Bollywood debut. During the chat show, when Anaita said that Khushi is quite the fashionista and has expressed her desire to take the runway by storm, Janhvi interjected, "That's not where she wants to be anymore. She is going to the NYFA. Then after she comes back, she will figure what she wants to do." Janhvi also went to an acting school before she made her Bollywood debut. She studied at the Lee Strasberg Theatre and Film Institute in Los Angeles. Interestingly, Sridevi wanted Janhvi to complete her studies, get married and settle down. However, Janhvi's fascination with acting convinced her mother to support her decision to enter Bollywood. 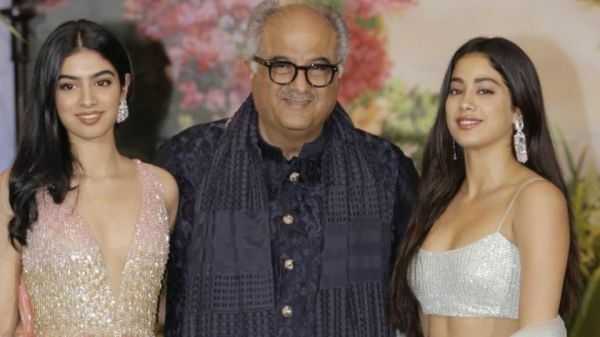 While talking to Anaita, Janhvi further disclosed that Boney Kapoor is extremely fond of his younger daughter and won't be able to bear the thought of her leaving home and going off to New York: "I'm getting palpitations just thinking about Khushi going to... He just has to think about it and he'll start crying." 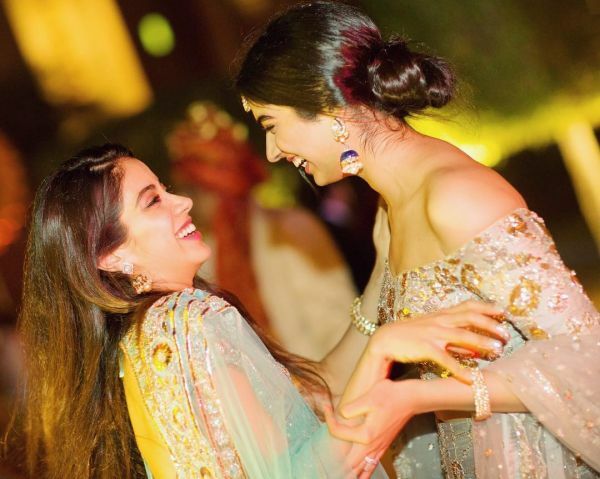 When Janhvi was asked if there was any sibling rivalry between the Kapoor sisters, she said that the only reason she fights with Khushi is over clothes. "We share our clothes, but we have this thing that if you steal without telling, then it’s a thing. At this point, I don’t care. She still like... She’s very righteous, so she is like, ‘You cannot take something without asking.’ She feels like she needs to inculcate manners in me. So that’s where it’s coming from." 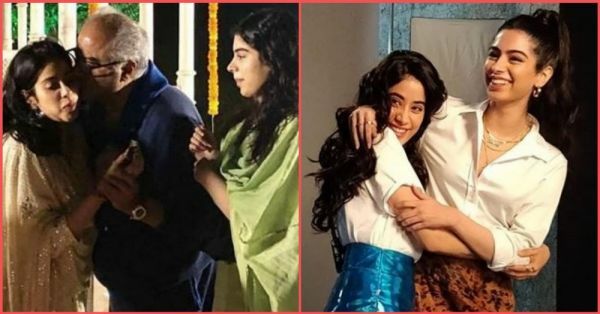 Janhvi Kapoor made quite a few interesting revelations on Anaita's show. She ended the episode with a bang when she confessed that she was a huge flirt. "I think I flirt a lot. Even when I don't intend to, even when I don't think I am, it just..." When Anaita asked if it was just her body language, she replied in the negative, "No! I think it's my curiosity to know people. I automatically start seeming interested, I guess. Even though I am really not." The Dhadak actress revealed that she was "flirty from a distance". She further confessed that she believed in soulmates, "I don't understand the concept of friends with benefits at all. It's quite tragic, really." On the work front, Janhvi is currently shooting for Kargil Girl, a story about IAF pilot Gunjan Saxena who helped evacuate injured soldiers from Kargil in 1999.